South Africa is on a roller coaster ride. The country has had three finance ministers in a week, its currency has lost 25% against the dollar so far this year, and the stock market is plunging. Africa's second biggest economy was plunged into turmoil by President Jacob Zuma's decision to remove Finance Minister Nhlanhla Nene last week. Nene, who economists say was an advocate of fiscal discipline, was replaced by a little known lawmaker -- a move that freaked out markets and angered many South Africans. The stock market dropped by nearly 3%, with finance shares plunging over 13% in the two days after the announcement. The rand lost 9% against the dollar, and government bonds slumped, forcing Zuma to make a U-turn. 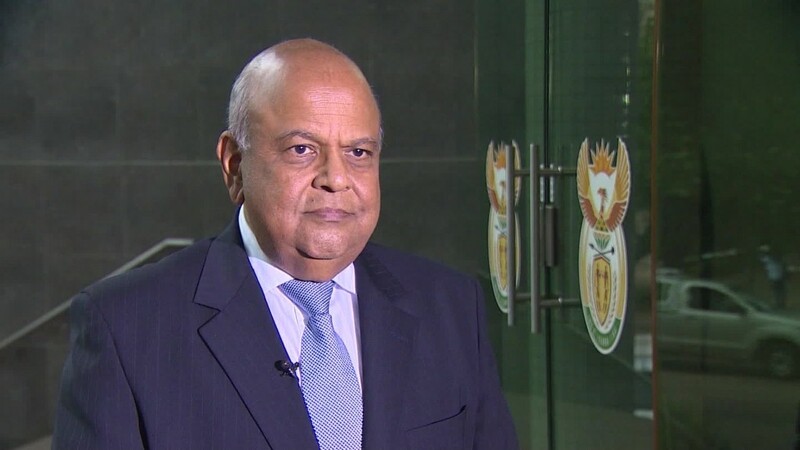 After just four days, Zuma appointed Pravin Gordhan finance minister -- a post he held between 2009 and 2014. "As a democratic government, we emphasize the importance of listening to the people and to respond to their views," Zuma said in a statement. 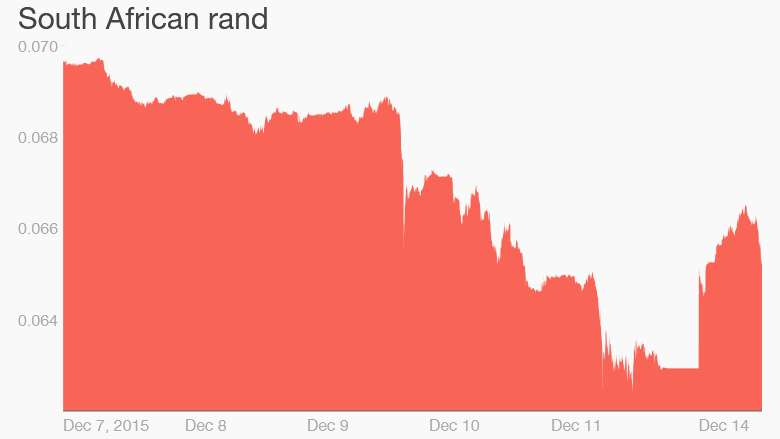 The markets cheered Gordhan's appointment, the rand bounced back 5% against the dollar and stocks recovered. But the market rebound will do little to change the grim outlook for the South African economy. The slump in commodity prices has hit many of its biggest companies. Anglo American said last week it would sell coal mines in South Africa as part of a major restructuring that will see the company shed 85,000 jobs. Mining accounts for about 50% of the country's foreign exchange earnings, and the current account deficit is growing. The International Monetary Fund expects South Africa's economy to grow by just over 2% this year and next -- that's about half the rate forecast for sub-Saharan Africa as a whole. The prospect of the Federal Reserve raising interest rates this week means investors are wary of putting money into emerging markets, including South Africa. Rating agency Standard & Poor's warned earlier this month it could downgrade South Africa's credit to junk, even before the recent political turmoil erupted. Unemployment is at 25% and inflation is expected to hit 4.5% this year, and 5.6% in 2016. The government is running a budget deficit of about 4%. "The dire fiscal position, coupled with high inflation and a fragile balance of payments position, all point to a further depreciation of the rand against the dollar in 2016/17," David Rees, senior market economist at Capital Economics, wrote in a note. -- CNN's David McKenzie contributed to this article.